Since the last blogpost I received the paper of scientist Christopher D. Muir and I am studying his research on the possible reason why the Monstera deliciosa is full of holes. The paper is written in technical botanical language and contains formulas and figures. It will take some time to fully understand everything. 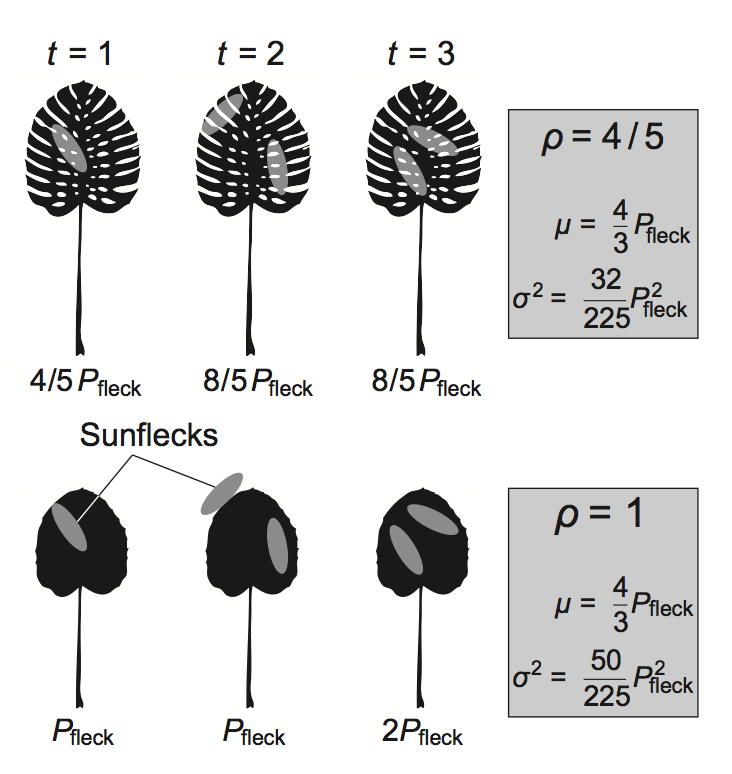 An example of the meaning and variance in daily leaf photosynthesis for a fenestrated leaf (top) and a leaf without holes (bottom). Source: Christopher D. Muir’s paper. Parallel to reading the paper I browsed through the pictures I made at the Matisse exhibition in the Stedelijk Museum Amsterdam. 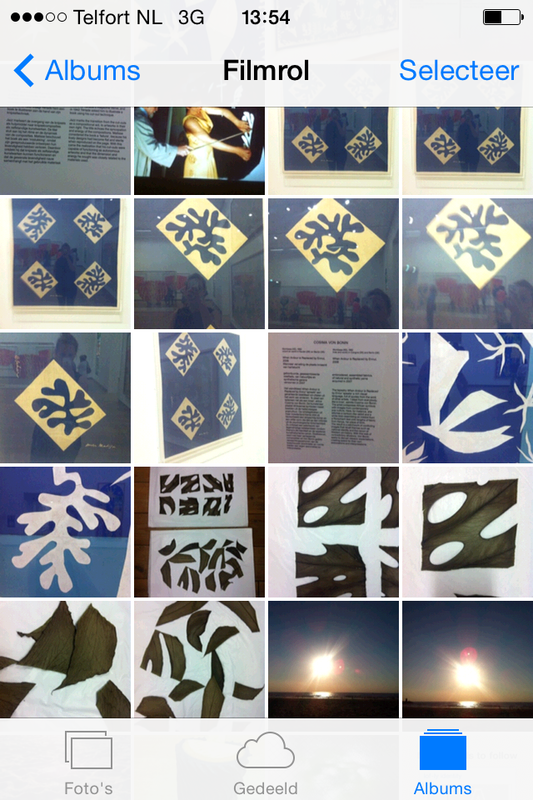 In the photo stream some of Matisse’s blue printed textile works are juxtaposed with the leaf drying result of the squared Monstera (see blog #4), and pictures of a sunset (my first sunset after moving to The Hague). The combination above made me feel like making a second light test after light test #1 in blogpost #5. 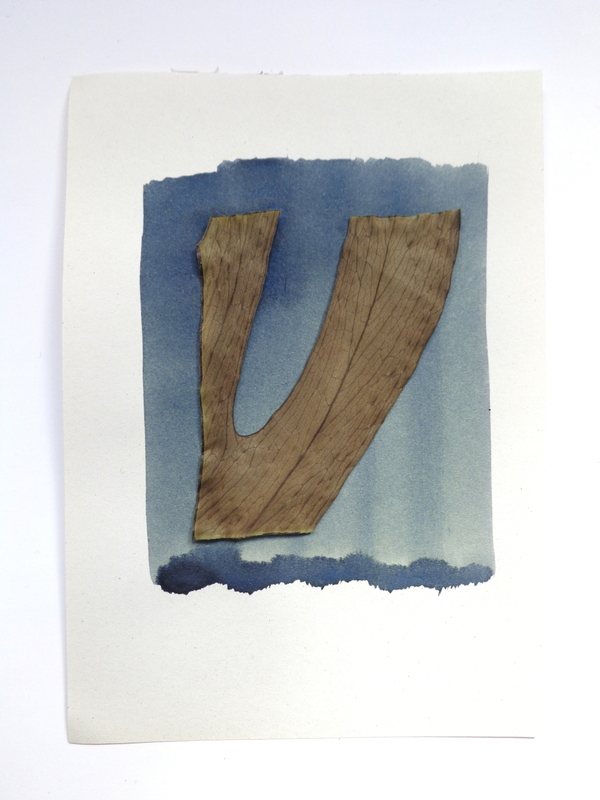 Only this time I used a dried leaf, UV from sunlight and cyanotype; a photographic printing process. 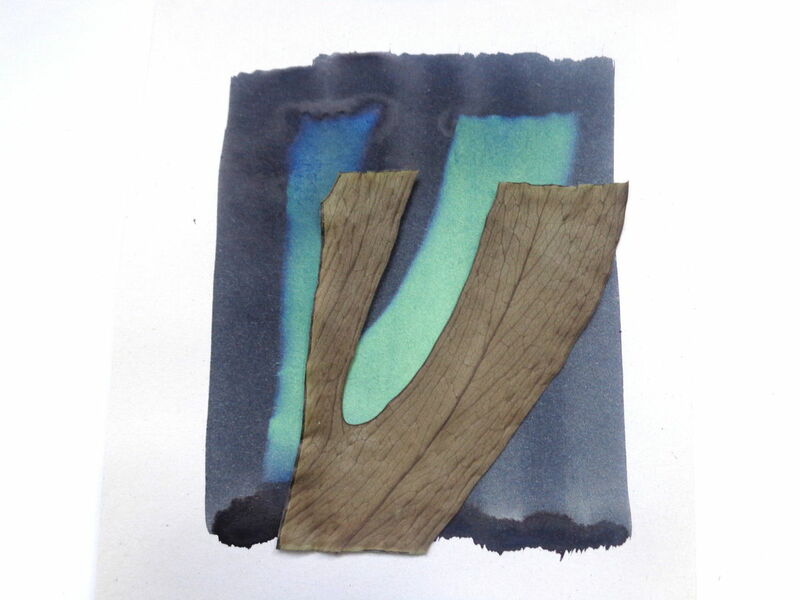 Cyanotype produces a cyan-blue print and the emulsion is made by combining Ferric ammonium citrate (green) and Potassium ferricyanide. 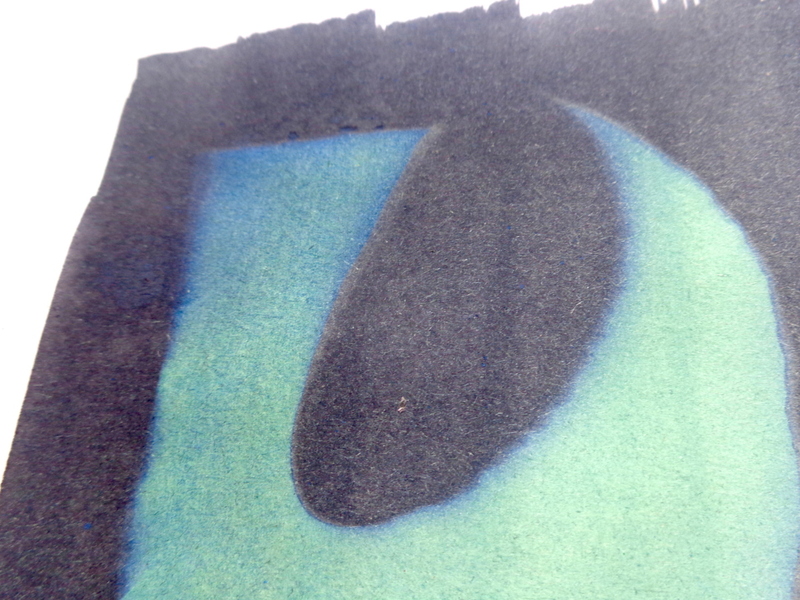 The print will turn darker blue when exposed to UV. 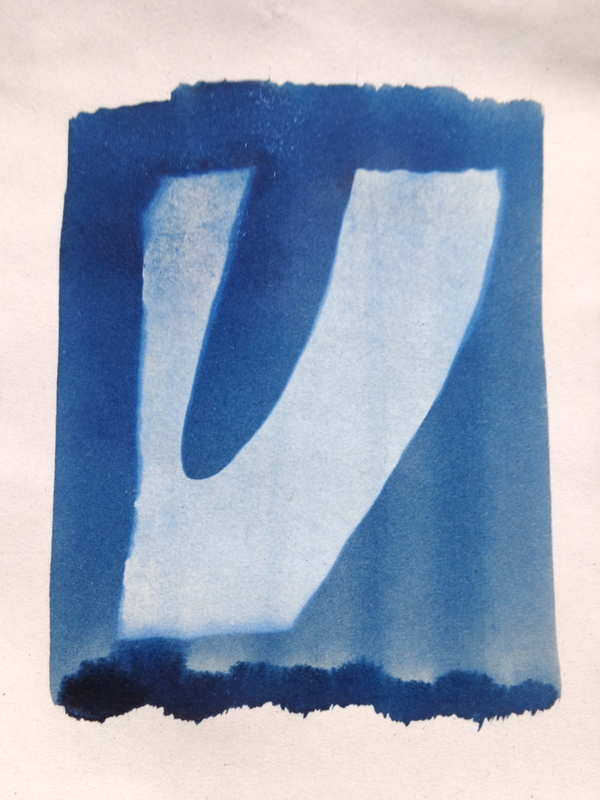 The sensitive emulsion is brushed directly on the paper. 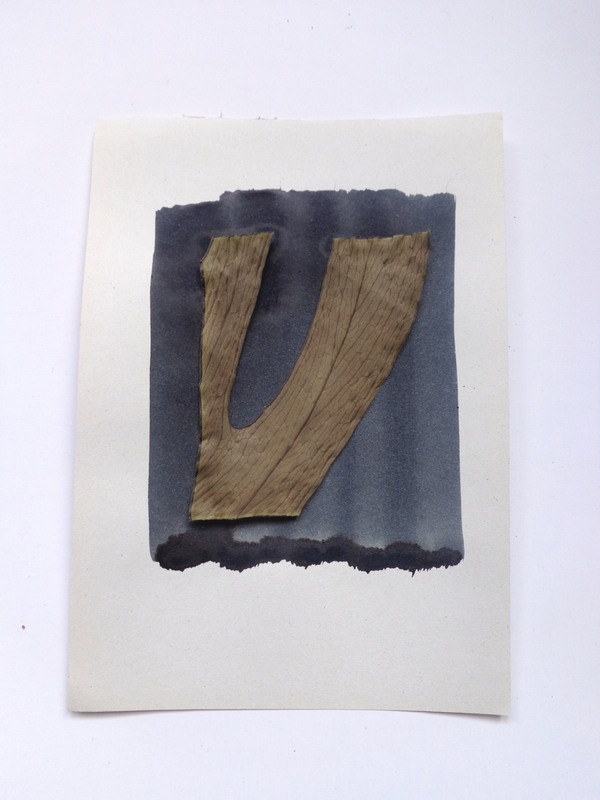 The dried leaf is put on top of that and I exposed it all to sunlight for a full day, to make it overexposed. 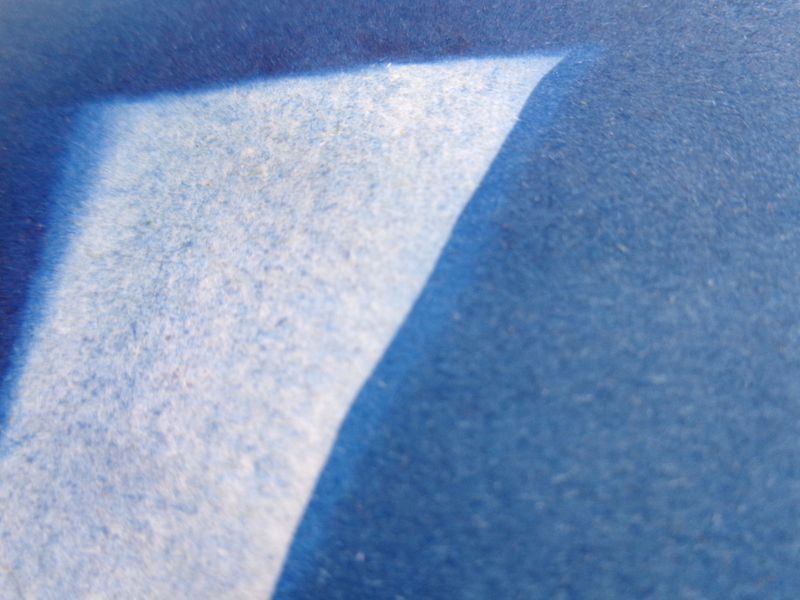 Exposure to ultraviolet light reduces the amount of iron in the exposed parts, turning the paper to a steel-grey-blue colour. (image: aliki-sunflecks-6.jpg caption: After exposure, the development of the picture involves the yellow unreacted iron solution being rinsed off with running water.